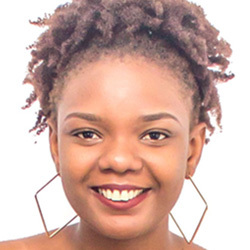 BiographyRachel Kumwenda is young lady, a final year student at University of Malawi, Chancellor College. She is studying Bachelor of Science, Majoring Geology and minoring Geography.AbstractRachel Kumwenda, Dr Blackwell Manda | University of Malawi Earthquakes vary in magnitude ranging from weak to destructive. Earthquakes occur when energy from the lithosphere releases seismic waves and is associated with rapid movements on active faults. Faults result from the action of plate tectonics. Malawi, lies along the East African rift system and due to divergent plate movements there are a number of faults that have led to a number of earthquake. Studies have been carried out in Karonga to understand the risk posed by earthquakes based on roles and perception of stakeholders. Information was collected from several stakeholders who were responding to earthquakes impacts in Karonga town. A Geographic Information System (GIS) portal site, crucial and critical in disaster management does not exist for Karonga, rendering it very difficult to quickly share disaster-related GIS data and make and implement quick policy decisions. This research will analyse the location of both population and infrastructure with respect to areas prone to earthquakes and will reduce the impact of potential hazards. Expanding urban development and construction works are moving toward areas susceptible to earthquakes. This research will help to maintain a database to track community vulnerability to earthquake risk.